Complete this form to become a member of The Cares Alliance. For any questions or other sponsorship inquiries, please email us at info@TheCaresAlliance.org today. The Cares Alliance is a 501c3 charity designed to uncover the needs in our local community and to assist in meeting those needs through bi-monthly donations. We believe it’s important for businesses to pour back into the community they serve, and it’s our goal to make our local area a better place to live by helping those with the greatest needs. The Cares Alliance accepts nominations for charities/nonprofits/missions/churches, local schools, and individuals in need to receive financial donations. In addition to the monetary benefits, our promotional efforts provide valuable publicity and promotion for each of the worthy causes. Thanks to our top partners, Emerald Lawns and the Robert J Fischer Team with Keller Williams Realty, and with the additional support of generous community neighbors, The Cares Alliance (formerly only known as RJF Team Cares) has donated over $100,000 since 2016. Imagine the potential community impact if even more businesses elect to come alongside as an influential force for good in our community! Alliance Members have the opportunity to brand their own “Cares” charity (e.g., Emerald Lawns Cares) empowering them to build goodwill with their customer base while also rallying and encouraging employees to focus on community impact. Best of all, Alliance Members enjoy all the benefits of their own nonprofit while leaving the bulk of administrative and nonprofit management to The Cares Alliance. Join us! 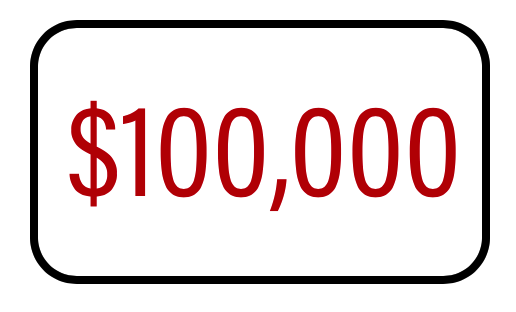 With the support of local businesses, community donations, and proceeds from our annual fundraising event, The Cares Alliance will have given away over $100,000 in 2018. Our ultimate goal is to be able to give away $1 million dollars annually as a transformative force for good in the community. The only way we can accomplish this goal is with more businesses and individuals joining The Cares Alliance in this ambitious and worthy endeavor. 1) Significant exposure and promotion with over 240,000 hits annually through web, social media, email, mail and more at no additional cost. 2) The Cares Alliance self-manages* all aspects, administration, and countless hours to run the charity. While you can enjoy an “ownership” stake in the charity with no additional effort on your part and make it feel and look just like your own as Company X Cares – member of The Cares Alliance to help promote goodwill with your customers and employees. With our administrative and marketing costs covered by volunteers and existing recurrent donations, 100% of your donations will go back out to those in need in our community with no additional work* required by you or your company. *Volunteers always welcome, of course!